Cappasity Inc., the first company to present affordable and easy-to-use 3D product imaging solutions made especially for e-commerce, presented its software platform that helps create 3D images of products and embed them into websites, mobile apps and VR/AR apps. 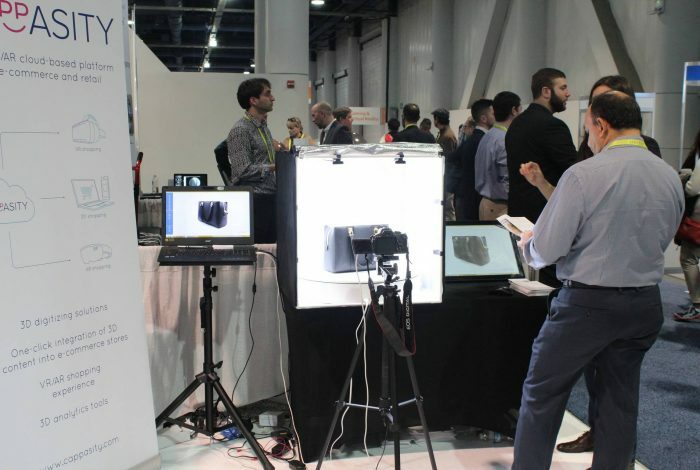 The company showcased the Cappasity platform at CES 2017, January 5-8, in Las Vegas. Since 2013, Cappasity has been dedicated to the development of 3D digitizing technologies to help online retailers win over customers and decrease return rates thanks to true-to-life product imaging. The company’s products allow anyone to quickly produce high quality 3D content and easily integrate these into a website or applications. In comparison to traditional 2D photos, 3D images bring a brand new digital shopping experience. A buyer is able to rotate, zoom and look at the product from different angles, which brings them as close as possible to the product while shopping online. 3D images are proven to increase engagement and conversion over 2D photos by up to 30%.